Some clients respond well to relaxing music in the background - setting the stage for your work with them. Whether you are a counselor, psychologist, or therapist you will appreciate this music designed for inducing a deep, calm state of mind. "Your music is many levels above other hypno background music I have heard. And I can tell you put a lot of thought into your music and looking forward to hearing some more. (the extra speed up track at the end was a great idea!)" 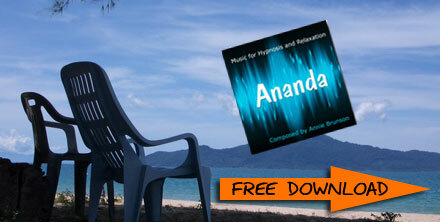 ~ Frank V.
Download "Ananda" MP3 while you can. This complimentary download is only available through OCTOBER 28, 2015, so enter your email address in the form above for FREE, INSTANT ACCESS. 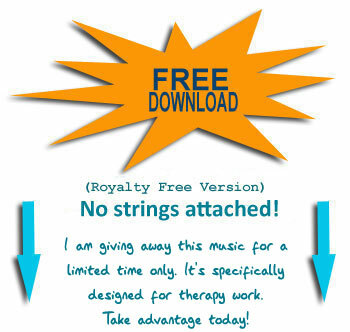 This music is ROYALTY FREE, so you can use it in products for sale and pay no licensing fee. EVER!